The Kolhapuri footwear is one of a kind. A footwear known to raise the bar and reflect sheer eminence has found its way into the homes of the diverse population. Its unique design backed by intricate craftsmanship is renowned all over India and the world. The Kolhapuri was pioneered by Chhatrapati Shahu Maharaj of the Maratha Empire and given the royal respect that the beautifully crafted Kolhapuri footwear deserves. 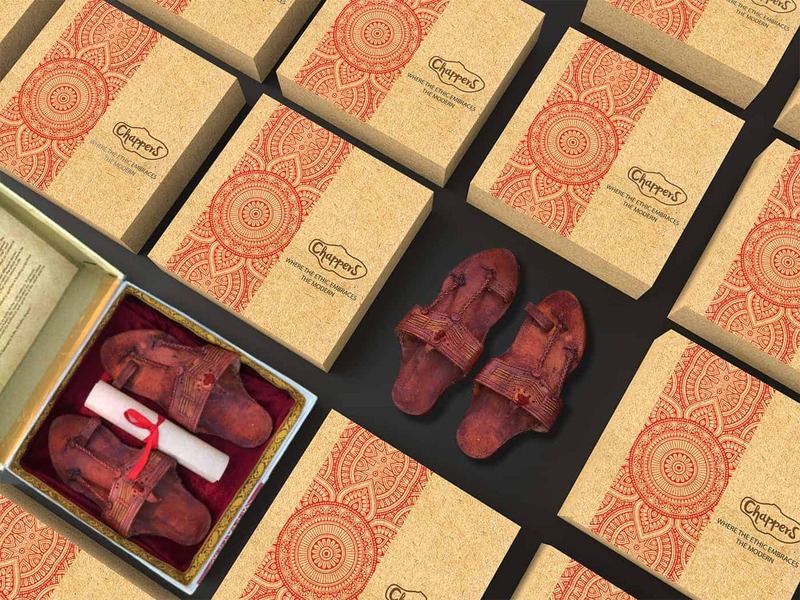 Despite its success, there is a lack of intriguing packaging experience associated with the Kolhapuri footwear- especially the high-end Kolhapuri Chappals (Floaters). We have come up with the packaging solution not just in terms of form/function but also in terms of branding and unboxing experience. 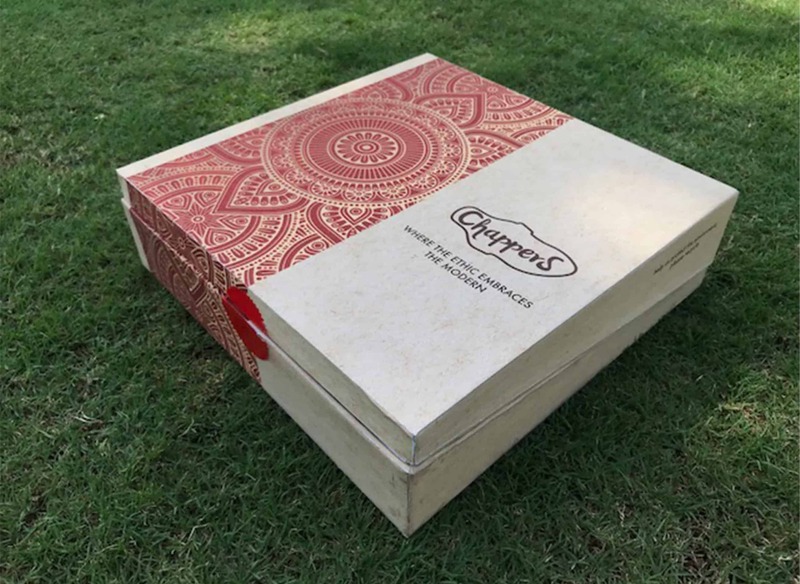 The packaging would be a way to service the elite Kolhapuri brands (keeping in mind the elite buyer) and take the footwear ’s recognition to an international level. 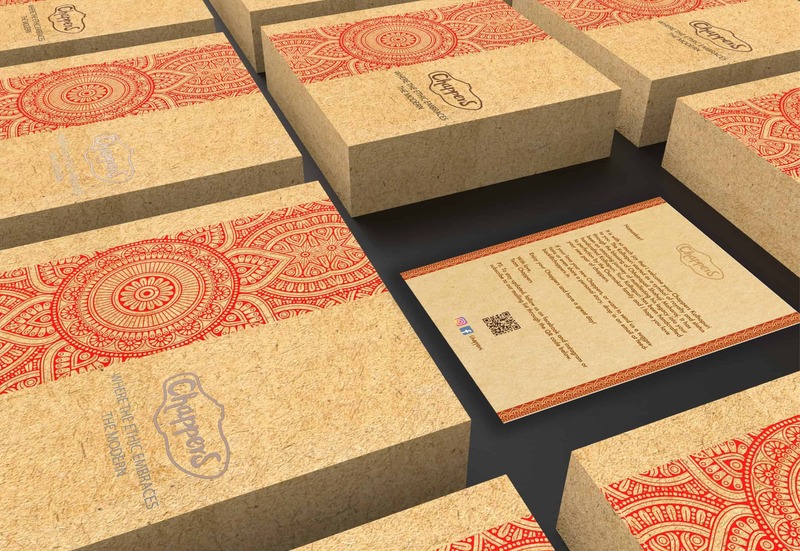 • The packaging creates an experience of the traditional through a modern approach. 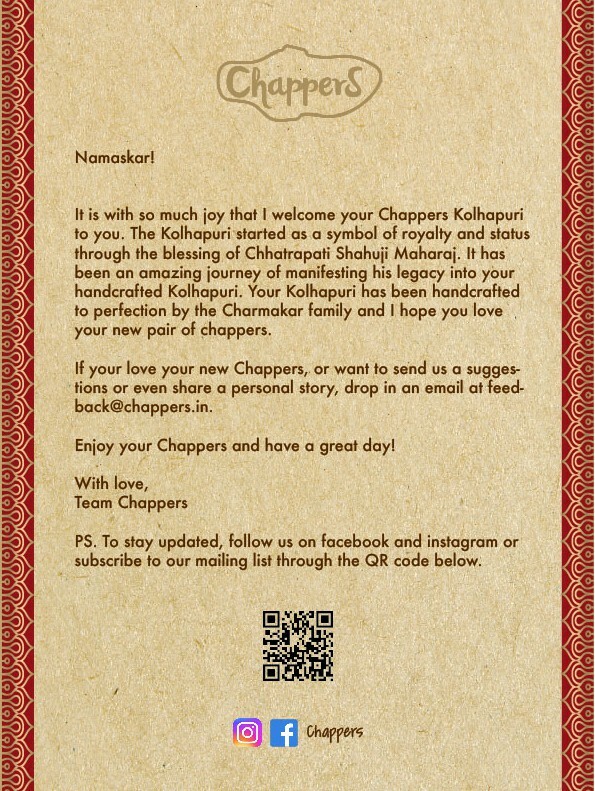 • First of a kind packaging solution for Kolhapuri Chappals in the commercial sphere. • The visuals add value by creating a handcrafted appeal. • Graphics has traditional look. 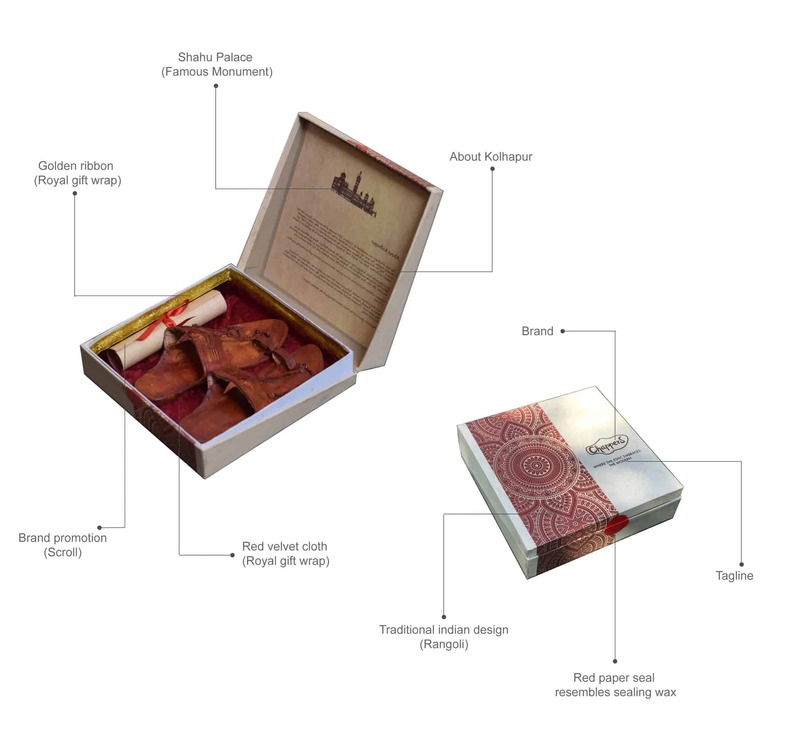 The handcrafted paper texture resembles with Kolhapuri handcrafted chappals (Footwear). The red and golden pattern of rangoli texture elevates the experience of our culture and tradition. The experience was designed to create a lasting impact on the user, before, after and during unboxing. 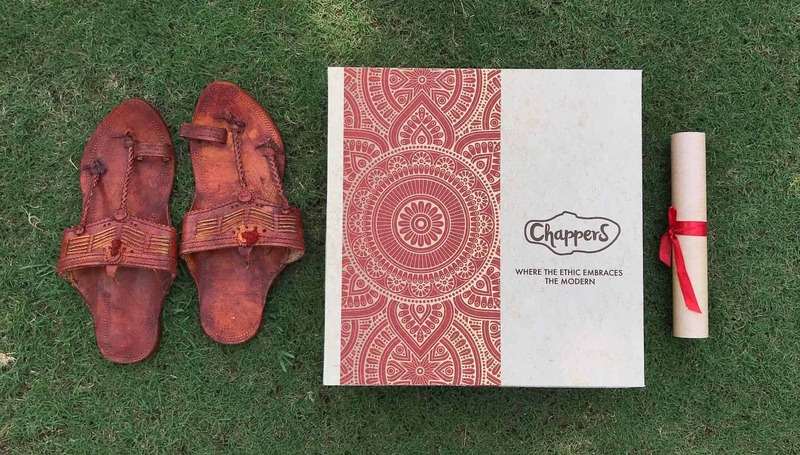 • The color and pattern are inspired by the city and heritage of the Kolhapur as well as the Kolhapuri chappal (Footwear) itself. 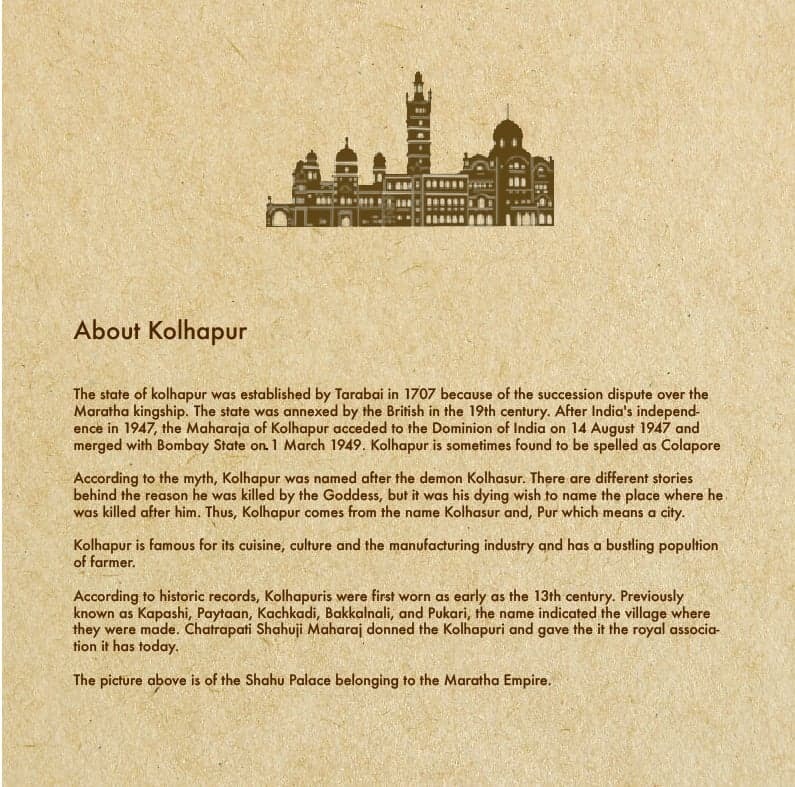 • The history of Kolhapur adds to the unboxing experience. Creating awareness of the history and background of years of expertise that Kolhapuri manufacturers have. • The scroll will contain a brief welcome message on the purchase of the footwear followed by an email and contact info if the user wants to contact the brand. • Dieline is basic and easy to manufacture. 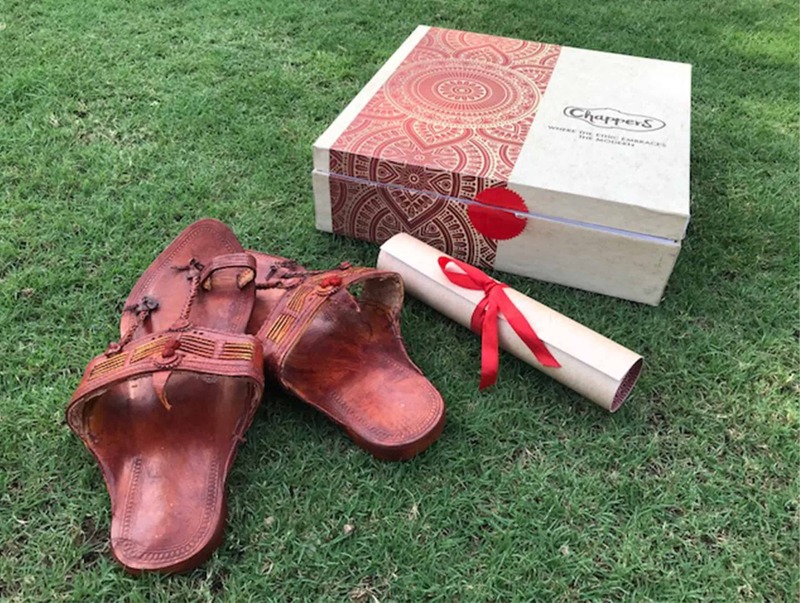 • The box top stays upright and can be used after the unboxing experience- for display as a souvenir or to store the Kolhapuri footwear. The project was accomplished in the group. I am a Product Designer and Design explorer from Pune, India. I have completed my graduation in mechanical engineering in 2014. My technical knowledge balanced with the creative ability directed me towards product designing. Everything I have engaged in so far includes design thinking, Product innovation, Product Sketching, Creative Engg. Details, CAD modeling, Product Prototyping, Product Photography, System Design, and Industrial Design.